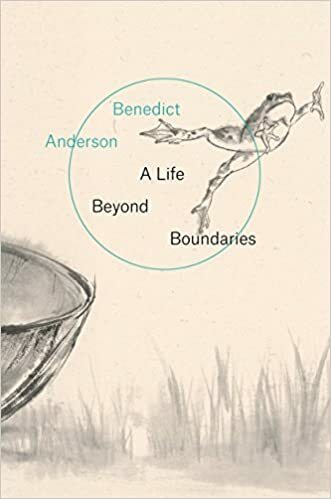 I enjoyed reading Benedict Anderson’s short memoir A Life Beyond Boundaries. I did a lot of Southeast Asia at university and so read many things by Anderson and his colleagues at Cornell, so it was a treat to learn some of the history and personalities behind those classic works. It’s mostly an academic rather than personal memoir, but the theme of learning different languages and understanding different cultures runs throughout, starting from his classical British public-school education. Even better, a substantial part of the extraordinary philosophical and literary production of Graeco-Roman Antiquity survived into early modern times, thanks to monkish copyists in the West, but also to Greek-speaking Christian Arab scribes under the rule of Byzantium. As time passed, their translations into Arabic allowed Muslim thinkers in the ‘Maghreb’ and Iberia to absorb Aristotelian thought and pass it on to ‘Europe’. This inheritance offered ‘Europe’ intellectual access to worlds (Greek and Roman) which in profound ways were alien to Christian Europe: polytheistic religious beliefs, slavery, philosophical scepticism, sexual moralities contrary to Christian teachings, ideas about the formation of personhood from the bases of law and so on. Direct access to these worlds depended on a mastery of two languages which for different reasons were both difficult and alien. … Better still, [they] gradually became ‘dead’. That is, neither ancient Greek nor ancient Latin belonged to any of the countries in Europe. Before the late seventeenth century, when some French intellectuals began to claim the superiority of their civilization, none of the European countries denied that the civilization of antiquity was superior to its own, and they competed against each other to learn more about it in order to be civilized. Whether in wartime or peacetime, no country could boast that it was the centre of civilization, a European version of ‘sinocentrism’ as it were, and throw its head back declaring it was no. 1. Innovation, invention, imitation and borrowing took place incessantly between different countries in the fields of culture (including the knowledge of antiquity), politics, global geography, economics, technology, war strategy and tactics, and so on. Nothing like this existed in East Asia, nor even South Asia. In East Asia, China and Japan both set up their geographical and cultural boundaries and often attempted to shut out the ‘barbaric’ outside world with drastic closed-door policies. The necessity of competition with other countries over politics, economics, technology and culture was only scarcely felt. Southeast Asia was probably the closest parallel to Europe. It was diverse in terms of culture, language, ethnicity and religion. Its diversity was further magnified by the historical lack of a region-wide empire (which was associated with frequent political turmoil), and later by the colonial rule of various Western powers. It also resembled Europe in its openness to the outside world through trade. Probably the best single part of the short memoir is the chapter on comparison and translation; you can read much of that in a long excerpt over at the London Review of Books.